Can the ancient Indian epic help us understand the moral failure of governance and financial disasters of the 21st century? Tune in to find out. Before turning a writer Das spent his life in the corporate world. After finishing his undergraduate studies at Harvard University, he turned to India, where he helped spearhead and make Vicks Vaporub, a household name.He was the CEO of Proctor and Gamble, India and later became the Managing Director, Procter & Gamble Worldwide. 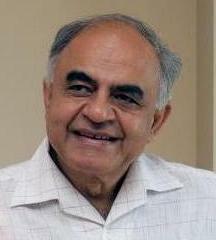 In case, you missed you can listen to Part-1 of our interview with Gurcharan Das. This interview was recorded in Silicon Valley in October 2010.